Stella Sławin Penzer, 96, died Tuesday, August 7, 2018, at home in the Old North End of Burlington, VT, embraced by family and friends. Stella and her twin brother Lazar (Lolek) were born September 9, 1921 to Ala Wajnstejn Sławin and Szaja Sławin. Stella graduated from the Warsaw School of Nursing, spring 1942, after it was relocated to the Warsaw Ghetto. She escaped the Ghetto shortly thereafter and survived by assuming the Gentile identity of Sabina Gąsiorowska. Her parents meanwhile were killed by the Nazi-led genocide and buried at a mass grave in their hometown of Otwock, Poland (8/19/1942). Her aunt Szenka Wajnstejn, uncle Abram Willendorf, and cousin Aleksandr perished at Treblinka (8/1942). Her twin Lolek was recognized as a Jew and shot dead (194?) by a police informant. 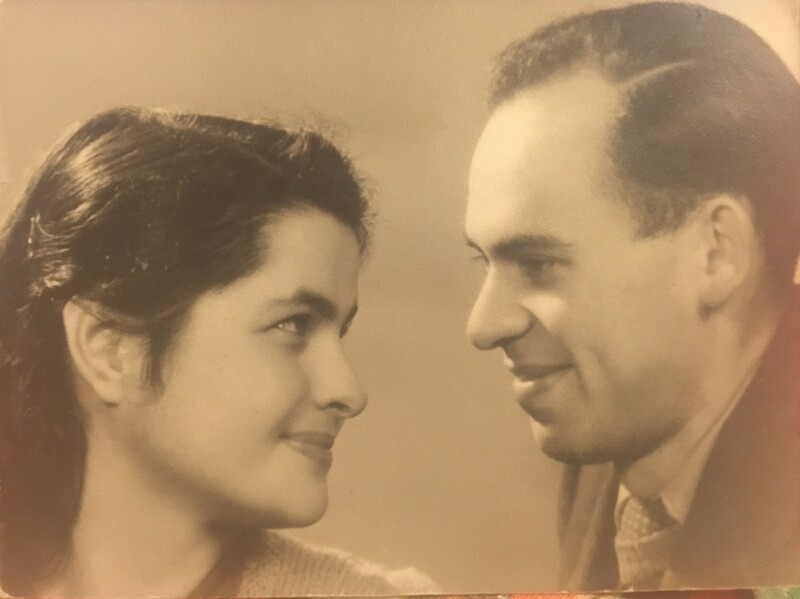 In 1949, following WWII, Stella and her husband Victor Penzer (7/18/1919 - 12/29/1999) came to the United States as refugees and settled in the Boston area. Stella's personal tragedy did not diminish her effervescent spirit. To the contrary, imbued by her parents with a vision of universal equality, Stella worked ardently for civil rights, nuclear disarmament, ecological conservation, and myriad causes relating to peace and reconciliation. Her great joys were folk dancing, poetry, music, friends, and family. Beloved by her children Martha Ala Penzer (Paul Emerson Hood, dec.) of Burlington, VT; Daniel Joseph Penzer of Plainville, MA; Rosita Eve Hopper (Roy W. Hopper) of Rockville, RI; grandchildren Roseanna Lazar Hopper (Joseph M. Diaz) of Cambridge, MA; Edward Isaiah Hopper (Charles W. Klensch V) of Providence, RI; cousins Jacqueline Stella Mercenier (David J. Murnion) of Forest Grove, MT; Rachelle Sender (Ron Lancaster) and family, Hamilton, ONT; Moses Scott, dec., (Melodie Toby) and family, West Orange, NJ. For their exceptionally devoted care of Stella, her family wishes to thank Dr. Karen Sokol and assistant Jolie; Dr. Peter M. Bingham; Bayada Home Hospice, especially Mindy, Miranda, Wendy, the overnight on-call nurses, and administrative staff; Kathryn Earle, Nik Gruswitz, Phyllis Knight, and Barb Segal. Thanks also to the loving staff of the VNA Day Program at Grandway. To honor Stella, speak out against cruelty, war, and social injustice, and support causes that nurture the human spirit. A dance party celebrating Stella’s life is planned for later date at the North End Studios, Burlington, VT. Please stay in touch with the family for details.